Photos contain precious moments that are lost when they’re deleted. If you’re a photographer, deleted photos due to an accidental data loss could be quite devastating. The same goes if your HDD or thumb drive crashes or loses its integrity. Did you know that these “lost” photos are usually overwritten when you save new data? So the first thing to do is to stop any digital activity if you wish to successfully recover deleted pictures. Not all Photo Recovery software are alike. Basic types of recovery software do not offer advanced recovery methods, are expensive, and present complex retrieval procedures on how to recover deleted photos. 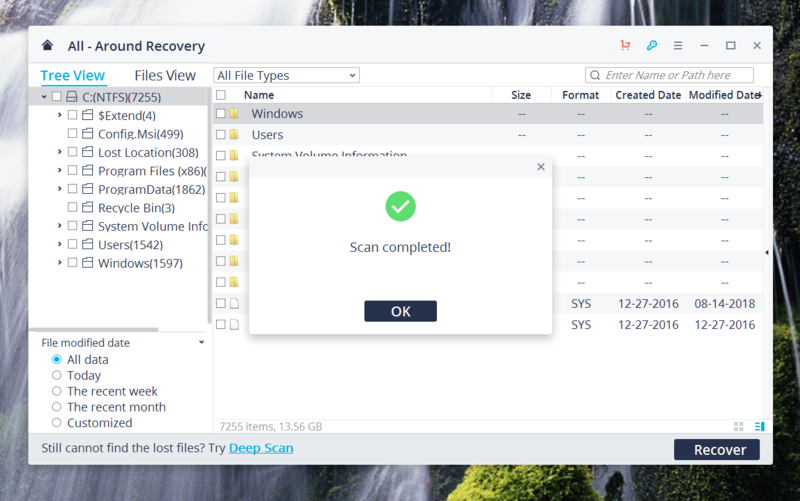 If you want a quick and easy way to get your files back, then Recoverit is your best bet. 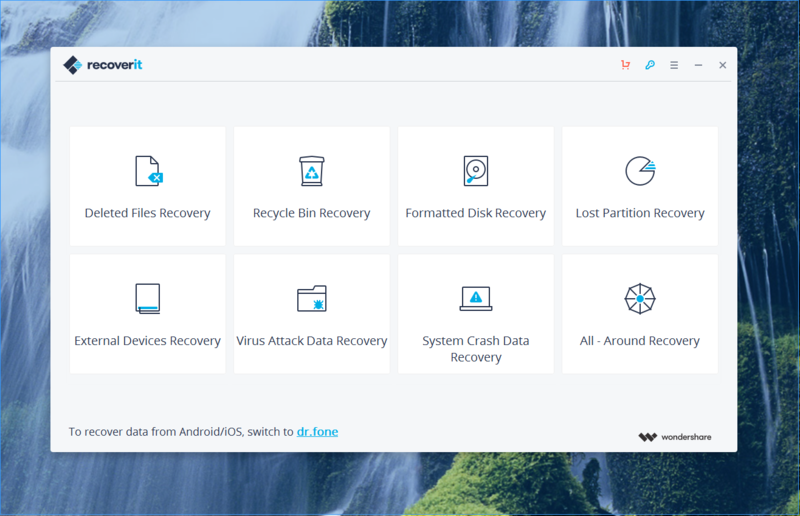 Recoverit Free data recovery software is an intuitive, highly-rated professional photo recovery app for PC with a remarkably high success rate. On Windows or Mac. Recoverit is 100% compatible with all versions of Windows, including XP, 7, 8 Vista and 10. 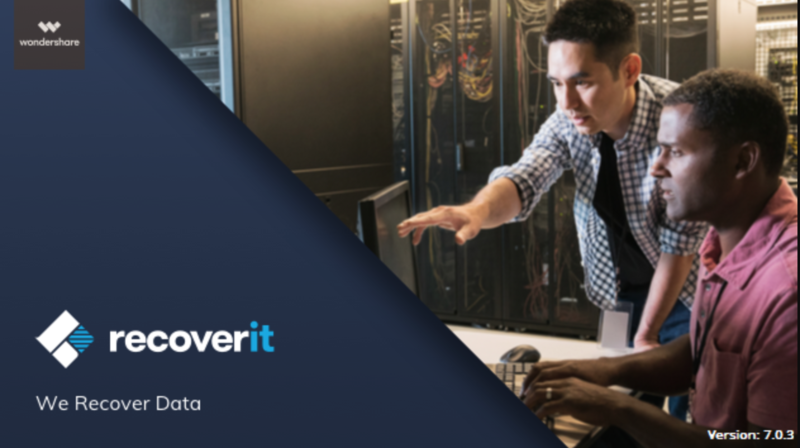 If you’re using a Mac then you can download the Recoverit Free data recovery software in order to retrieve the images you lost. On Any Device. You can get back data from any HD, Recycle Bin, mobile phone, camcorder and digital cameras. From Any Storage Media. Smaller storage media such as USB, SD cards, flash drives and memory cards are supported by Recoverit as well. Of Any Filetype. Recoverit can retrieve photos created by cameras and images that are edited by the most popular software. Graphics file extensions that can be recovered include RAW, GIF, BMP, PNG, TIFF/TIF, JPG, ERF, DNG, WMF, DCR, MRW, SR2, RAF, ORF, NEF, CRW, PSD and more. Recoverit can get back any file that you may have lost. Email, videos, audio, documents and compressed files (RAR, ZIP and others) are supported. If you lost photos on an external drive, connect it to a Mac or PC now. 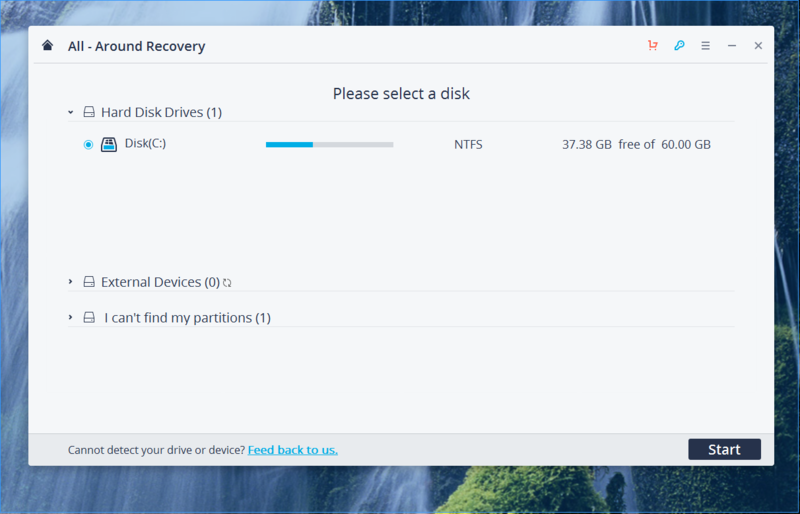 Open Recoverit and choose “External Devices Recovery” if attempting to scan an external drive, or “Deleted Files Recovery” to start the process. Choose the location where the lost files are, then click on the Start button. Allow the Recoverit Free photo recovery software to scan the storage device to search for the deleted photos. If the search comes up empty, don’t worry. Choose the “All-Around Recovery”photo restoration method next. Recoverit will then start another recovery photos process, this time scanning and digging in deeper than the previous recovery mode. Once Recoverit has finished scanning you’ll be able to see what was recovered in the drive. Head over to Preview to see the recoverable files. You can then click on it further to see if your lost images are among those that can be recovered. For Windows – Click the “Save” button to get the data. For Mac – Click the “Recover” button to retrieve the images. Recoverit Free allows you to get back up to 100MB of lost photos for free. If you somehow lost more than that, then it’s fair to upgrade, which is a good deal considering how valuable your photos are. Recoverit is a trusted file recovery software that’s reliable and effective. You get 24/7 tech support and a 7 day money back guarantee if you upgrade. It’s 100% virus free and it doesn’t write any data at all in your computer. Recoverit is a powerful software you can use to get your precious photos and files back. The important thing to remember is that with a little precaution you can prevent accidental data loss and other lost file scenarios in the future. Be extra careful when options such as Format Everything, Delete All and in Emptying the Recycle Bin appear in your computer. What’s more, you should always be aware of the battery levels on the device you’re working in, whether it be your digital camera, your laptop, mobile device or laptop computer. Maintain free storage space. It’s always a good idea to regularly free up space in your computer, smart phone or camera every now and then. Not enough space can cause crashes and eventual data loss. Use a trusted antivirus software or app. Viruses, malware and other malicious scripts and files can cause you to lose your precious files as they can become corrupt. Be wary of suspicious files, in downloading attachments, clicking links and shady sites to lessen the risks of being attacked. Back up your data every now and then. If you’re a photographer, it’s wise to keep second copies on different storage devices, i.e., a hard drive or a USB flash drive as you work on your computer. You can automate backup procedures to make it more easier, giving you peace of mind.